You will never be given a job. You are Madjupi, dark skinned, lower than garbage. Your people came from nine brothers, all blacksmiths who followed Alexander’s great army from India in search of freedom. Their wives wore gold and charmed snakes. The brothers fixed the shoes of Bucephalus with their strong forearms, and sung songs for the soldiers – the same songs you will sing with your family at night. The great army led them home to Macedonia, to the banks of Ohrid, and up through the wildflowers of the Ibar valley, to the mahala. Alexander did not lead them to where you live now, in the shadow of a slag heap outside the city divided by the river. Do not look at Albanian girls, with their long faces and pouting lips. They will never love you. Do not be drawn to the light skinned Serbian girls, with their crucifixes and vacant stares. They are all Gadje, outsiders. When you do feel like looking, focus on the Roma girls – they are dumb like you, dark like you, stuck like you. If it’s shiny, bite it. If it’s soft, it’s lead. Leave it. If it cuts your teeth, take it to the pile. If you find ball bearings, the Albanian soldiers will buy them from you, but don’t linger long. If you get the one with the red hair, he will try to touch you. If you take them over the river to the Serb enclave, they will notice your accent. Do not tell them where you are from. Tell them that you are from Egypt. They will laugh at this. For as long as you can remember, there has been war in the countries next to yours. Pay attention. When war comes to Kosovo and the word Tomahawk missile falls off everyone’s lips, do not cheer. When the Serbs leave, the Albanians will come. They will burn the mahala, your Roma neighborhood, to the ground. They’ll laugh as they sow salt in your small fields and inflict on you what has long been inflicted upon them. The US will be mute and complicit, because at one point, they did the same thing to their own. Do not marry a girl who has gone to school. Do not marry a girl who has the cough. Always pick the smallest kids for your soccer team. The smallest have the most to prove and they will love you forever. If one of your teammates has the cough, do not pick him again. If no ball is available, bird nests can be wrapped and used as a ball. If one of your teammates is coughing blood, do not play that day. When you are six and hear the Vetendejose crowd, leave the mahala. Do not wait for them to come to your house, to hover over you in bed with their foul breath and faces lit by flames. Do not stay to fight. When you speak to them in Albanian they will grab your face with hands like claws and ask you in mocking voices if you think you are one of them. Your brother will say you are Muslims, Ashkalija, Roma-Albanians. He will carry you from your bed, where you are frozen in fear and piss. They will be methodical in their destruction and you will not come back, instead you will move to the shadow of the lead slag. In your life you will be called Gypsy. You will be called pig, dirty, a liar, worthless. When you are seven, you will be playing behind the old ore mill in the woods beyond Prizren and come upon a Serbian tank. Inside, there will be a dead soldier. You will not be able to distinguish his face and you will be filled with equal hope and dread that this soldier is your brother, the one who had eyes like the sunset and taught you how to use a slingshot, the one who went to the Serbs after the Kosovo Liberation Army came in the night for the mahala. You will not be bothered by the sight of the soldier without a face, or by the dried blood. You will pretend you see life floating out of him, and allow yourself to sit with him and mourn regardless of whether or not he is your brother. When you ask the soldier how he died, you will believe you see him twitch and assume his spirit is trying to escape, and know that if it does, it will haunt you forever. You will tell him your father knows how to treat the spirits of the dead. You promise the soldier you can help him. Take his gun as proof back to the settlement. Take his bullets; put them in your pocket. Run your finger over his silver nameplate even though you cannot read it. You will think you hear a noise outside the tank and run until your feet are blistered, and the gun slaps bruises against your thigh. When your father finds the gun he will cry. He will want you to return it. It will sit on the kitchen table, on your mother’s plastic tablecloth of roses, and he will insist that your brother is not dead. He will say you are too young to know and demand you take him to the tank to return the gun to the dead. Your father will bring beeswax to put in the soldier’s nostrils, to block the spirits from exiting. Your mother will cook burek and beet mash as an offering. You will not be able to explain how the nostrils are no longer nostrils. When you and your father arrive at the woods, he will utter a prayer asking for forgiveness from the mulo, the living dead. It is the only time you will ever see your father afraid. When you get older, you will inherit this fear. The tank will be gone when you get there. Your brother will never come home. Your father will make you throw the bullets in the Ibar. Years later, when rubber bullets kill three people at an independence rally, you will watch the rioters fall like baby birds. You will be collecting cans in the abandoned socialist swimming pool that is covered in graffiti you cannot read. Your son will ask you who is good and who is bad. You will watch the UN, the Italian Carabinieri, fire tear gas at young people and you will tell him you don’t know. When you hold your baby sister on the promenade to beg for change, look uncomfortable. Whisper a prayer before you pinch the back of her thighs so she cries. Never look like you are enjoying yourself. If it is snowing, pretending to be a statue is a good game to play. Your mother will wail for the coins of strangers, then drink tea and say little at night to rest her voice. Your father will make you smelt the gun down. You will pour the castings into a mold and sell it as scrap metal. He will tell you, over your tears, that you must never anger the dead. You tell your father you feel like you are being punished and don’t see the harm in keeping the gun. You will not tell him that it is possible you spoke to the dead soldier, your dead brother. You won’t tell him you think the soldier listened. He will grab your arm and look you in the eyes and tell you no one in your family will ever own a gun after what happened in the mahala. The UN will say the French barracks are better. There is clean water there. The housing is already in place. They will not tell you the French left because of the lead. You will stay because you have nowhere else to go. You will meet a round-faced boy named Śani in the barracks and together you will look at the French words etched into the plaster walls. To you they will look like hieroglyphics. Śani will have black gums and eyelashes that are as long as whiskers. He will love animals and wizards. His favorite wizard will be Suyolak who possesses knowledge of every cure. Together you will go around curing people in the camps, rubbing anise water on aching necks and whisper prayers to milky cataract eyes. You will smear mud on your sister’s face and anoint her a princess. You and Śani will take turns pretending to be Suyolak and chain each other to a big rock. When you break free you destroy the entire world with your slingshots. One day, the two of you will see a boy drown in the river and no one will believe you. He was being chased by a group of boys on the other bank of the river. The mob had a dog – a big shepherd with a mean bark. You could tell the boy was afraid of the dog and rather than face the crowd, he simply jumped into the Ibar and never resurfaced. After the pack of boys dissipated, you left them to their lives on the other side of the bank and felt bad for a long time. After a few days, you will tell Śani about the soldier in the tank and tell him a lie about your ability to speak to the dead. Together you will go down to the river every day and ask the drown boy about his life. Śani will be shocked to hear the boy loved Suyolak and kittens as well. His favorite color was the color of blue wisteria and his favorite soccer player was the same as yours, Naim Gashi. The slag heap will forever look like a mountain to you, even when the lead dust is blowing off, raining on your house. The clouds will blow, but the slag pile will never get smaller. When the wind blows, you hold your breath. When you go to bed at night, there are cobwebs, black from the dust, that blanket your ceiling like a canopy. When you are twelve, you and Śani will watch Trepça’89 Mitrovice play FK Partizan from beneath the bleachers. Śani will announce to you that he believes Naim Gashi is a cheater. You will cheer as loudly as you like between the shoes of the people on the bleachers. Watch the skill of the players on the field, remember these moves, practice them later. This is the happiest memory you will have for a long time. When the crowds leave, and you begin to collect the bottles and cans they have dropped, you will find an autographed picture of Naim Gashi. You and Śani decide you will take turns sleeping with it at night, even though Gashi might be a cheater every now and then. You will devise a time-sharing system for the photograph. Do not lose it. Naim Gashi will be famous one day, for war crimes. Children are sent by God. Children are a blessing. Do not pick sides between the Serbs and the Albanians, but pledge allegiance if questioned. They tell you the sons of blacksmiths should not be bothered by living in the lead. Do not eat the fish from Ohrid, do not eat the fish from the Ibar. Do not play soccer when the wind on the slag blows from the north. Do not play with animals that do not move. Through UN workers you will learn the words “displaced person.” You will learn the exact number of people in the refugee camp: 821. Doctors will slap you on the back, look in your ears and pick at the scabs on your scalp. You will be given a tablet to swallow by a nurse with red lips and pink skin. She will smile at you and all of her teeth will be white, in neat rows. You will ask her where she’s from and she will make the effort to find an interpreter. He will tell you she’s from Australia. You will vow to go there. One day, a man with white hair will come. At first he will be known as the man who delivers the fruit, but soon the fruit will stop coming, like the pills, and the woman with red lips. The man will stay in a trailer on the outskirts of camp. He will outlive twenty children his first year and cry at all their funerals. He’ll be the one to appeal unsuccessfully to the EU, to the IRC. He will be your only voice. When you are fifteen, Śani and his family will move out of the camp. They will head north to Germany. He will let you keep the Naim Gashi photo. Within three years, Germany will deport them back to Mitrovica. When he returns, there will be white hairs sprouting on the sides of his head and he will ask to see the Naim Gashi photo again. When you are sixteen you will meet Musa. She will be washing clothes by the train tracks and the red mutt that you hate will take her small arm and start dragging her away. You will hear her cries and pick up as many stones as you can. You will approach screaming, slinging rocks like Suyolak. The dog will mangle her flesh, and she will be bleeding when you get to her, but what will draw you in are her eyes – so blue they are transparent. She will howl in pain and will bring you back to life. You will wrap her arm, carry her to the school building and sit with her until the nurse comes the next day. During the time you wait you will learn a lesson – do not fall in love with girls who die. You will shut off, refuse bread and tea. Don’t take relief that the dog was stoned. Your mother will stroke your matted hair and sing to you even though you are a grown man. Sleep on the couch and let her tuck you in at night. You will hate yourself for ever believing you could speak to the dead, for pretending that once gone they could hear you. You will realize the only true thing protecting you is the net of webs above your head. You will look back at how lightly you treated the boy who drowned in the river and come to believe the faceless soldier was not your brother, that there will never be a goodbye, there will never be anything but the living dead walking among your memories and that they have taken a piece of your childhood. You will wish you never saw the tank in the woods. You will want to lay on the couch forever, safe from the world. You will think this over and over again for a month until you decide you must keep living. Always wash men’s clothes separately from the women’s. White is to be worn to a funeral. Your father will constantly talk to you about the mahala, where he had two houses. Houses with two stories, he will say. You will take your father to see his houses one last time before he dies. You will borrow Afar’s horse drawn cart and push the horses on the highway and together you will joke about horsepower as the Mercedes pass you like bumblebees. Your father will enjoy the spring air in his hair, but slouch to the right to avoid the pain in his kidney. In the mahala, it is like the skeletons of life. The buildings hang in silence. Together you will see that some people have returned. “Our family lived in this valley before the Turks,” he will proclaim, standing in the flixweed of the former dining room. “We have never lived in a caravan.” His face will be squeezed together, contorted with injustice. “This is our house,” your father will say, and you will understand what he means. Sweet grass grows in the front step and you will try to recall if your brother used the front door when he carried you out into the night. Your father will dig all afternoon and find your mother’s old teapot and several broken dishes. He will bring them all home, bundled in a shirt just like the first exodus. He will pick at the cement of the foundation and ask you never to remove the rebar, no matter how desperate you become. You promise him. He would not be able to bear the thought of selling the rebar in the scrap metal yard. When you return to the slag with your father, the leaded winds will be blowing, and the sun will be setting, casting an orange shadow over the refugee camp. When he dies, you will think he is an old man. He will be forty two. Your favorite song is Djelem, Djelem. You like the line; I have met a lucky Roma. Come with me, Roma of the world, to where the Romani roads have been opened. Picking tin by the river you will hear a girl named Sara singing this song and you will smile at her. She will tell you she is named after the saint. Your heart will heal with each of her words. The best scrap metal is in the capital. Find the old Serb houses. If there is barbed wire, be careful of cluster bombs. Do not enter a house if you see a fox. If there is a fox in the house, it is marimé, the house is polluted. They will create rumors and make excuses when the lead levels come out. They will say you steal car batteries and smelt them. They will say it’s the animals you eat, the dirty way you eat them. Don’t think the UN will save you because they are inept. Don’t think the human rights groups, the WHO and the IRC will save you because they do not care. At the end of the day, a little gypsy blood on their hands is just their way of containing a problem. You will consider rebuilding in the mahala, but that will take money, and it won’t matter. Those who return will be forced out once again. Your house will be rebuilt by an Albanian lawyer. He will build high brick walls so you cannot see in and his wife will plant climbing roses that fall like snakes over the fence in the summer. Triumphant pomegranate saplings will line the streets. The problem will start with the cough. Some dizziness, undefined aching. Your children will be three and seven, the same age you were when you first found the faceless soldier. When the test results come out you will hold your three-year-old’s hand and take the paperwork to Farhaz, who can read. He will put on cracked glasses and read you her numbers. You will ask if they are high. “They are very high,” he will say. “It says they are five times the level of a child who is brain damaged.” He will smile at her and stroke the fuzz on her cheek. After the test results, you and Sara will talk about it four times. You will only have the conversation four times, and after each time you will both cry. You will say over and over it’s because of the lead. You will reconcile your decision forever, each time she makes herself lose your children. It’s bad luck to take blackbird eggs in the spring. Some children will lose their memory and it will never come back. Śani will have a son and you will give him the Naim Gashi photo, and he will carry it, loved and crumpled in his pants pocket, until he cannot walk. Your wife will cook for them and you will watch as Śani tells him stories of Suyolak and rubs the muscles in his legs. He rubs them so vigorously; you know he is trying to rub his own life into them. He was a good little boy, smiling all the time. You will want him to be buried with Naim Gashi, but Śani won’t be able to make any sort of decision. The last time you go to the mahala with your mother, she will knock on the door and ask to sweep the front steps like she used to. When she starts talking to people who aren’t there, do not be alarmed. This is how it will go. You and Śani will play dominoes once a week. He will always beat you. You will both try to remember a time before the lead poisoning. He will have tried to emigrate throughout Europe three times. Three times he will be forcibly returned to the camp. Together you will joke about different countries. You will have an undefined pain when you think of Australia. The only map you have even seen is in the scrap metal yard. It is of the former Yugoslavia. “But this time we should sit in the stands,” he’ll say. He’ll be crying softly but trying to hide it from you. “Maybe when you get to Spain we can see Real Madrid,” you’ll suggest. “I’d rather see the Bundesliga.” he’ll say in whisper. He’ll nod and continue to cry, and you will keep your hand on his knee and sit on the banks of Ibar until the sun goes down. On the way home, you will pass a funeral procession and the women will be wailing. Although you have heard the cry of grief before, this particular time you will think you have never heard anything as painful. Your voice will fail you when you try to describe it. 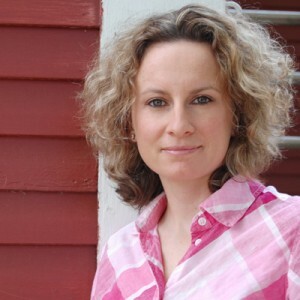 Rose Whitmore is currently an MFA candidate at the University of New Hampshire where she is Fiction Co-Editor of Barnstorm. A San Francisco native and former All-American rugby player, she recently worked for the editorial team at Prishtina Insight in Prishtina, Kosovo. What an intelligent and moving story! Great story. I enjoyed it….